Welcome to Maple Road School…home of the Mustangs! We are a PreK - 6th Grade elementary school with approximately 300 students in beautiful West Milford, NJ. Our broad span of grade levels and academic programs results in a dynamic, comprehensive learning environment where all students have an opportunity for success. 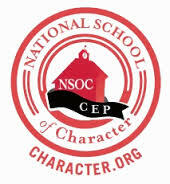 I am proud to announce that Maple Road School was selected as a 2017 National School of Character. Being a School of Character is a full school community commitment. This honor is a testament to the hard work, dedication, and integrity of our teachers, parents, and students. All members of our school community have played a part in achieving this goal. We all should be proud of this achievement and what it means for our school and our students. Maple Road School is a safe environment where Full Values support character, collaboration, and a sense of community. We are committed to supporting the academic, social, and emotional development of our students so that they reach their full potential and contribute meaningfully to society.